Try to keep it in the glass at Cabrito. Starting tonight when the Yankees take on the Phillies in the first World Series game at the new Yankee Stadium you can take in your first World Series at Cabrito on Carmine Street in the West village and enjoy the $27 dollar all-you-can-drink special. The open bar, which covers beer, wine and well drinks with the purchase of any food item, is available at the bar and runs the duration of the game -- from CC to Mariano. Margaritas, Micheladas and Mexican Firing Squads are their own rewards and of course you can find cheaper drink specials, but if you are a Yankees fan the $27 special may mean a bit more. 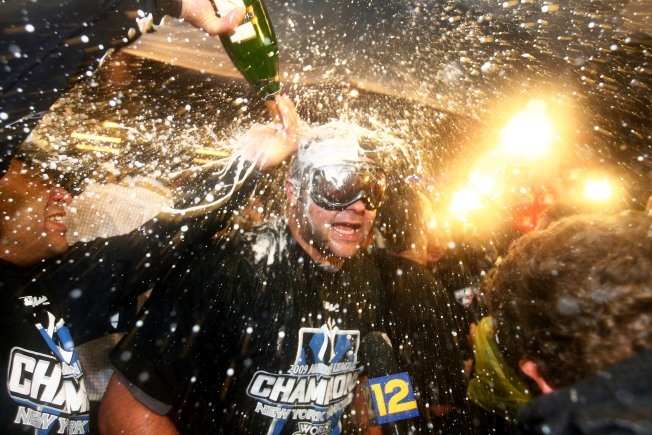 If the Yankees take the series from the Phillies it will, of course, be the 27th championship for New York. With as much superstition as surrounds the national past time, consider it a good omen to see the first pitch with your first $27-special Dos Equis in your hand. The special will continue for every game of the series. Consider the goat taco a signing bonus.